Courtesy photo / Green Leaf Medical LLC, which operates a facility in Frederick, Md., has submitted an application for one of two south-central Pennsylvania medical marijuana grower licenses. If the company receives a state license, it could establish a marijuana operation at the closed Seton leather plant in Saxton. 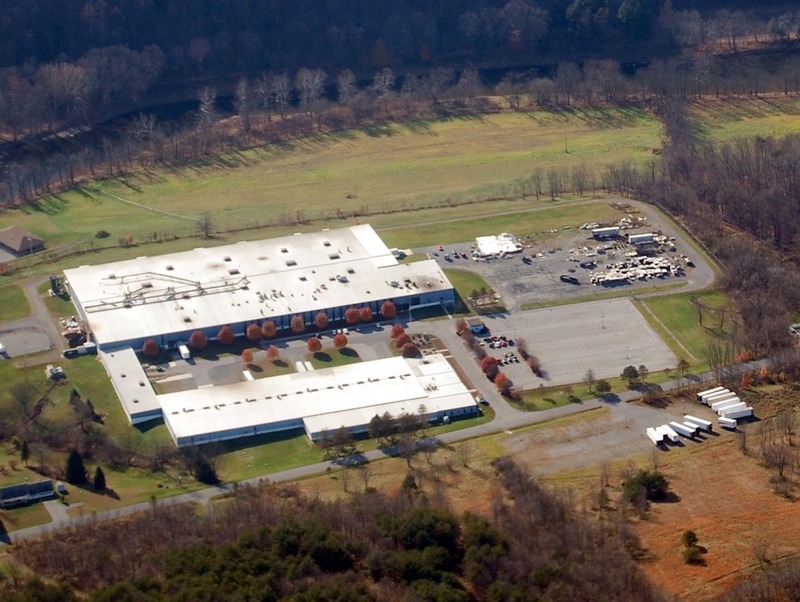 A Maryland company dedicated to growing medical marijuana has announced plans to take over a shuttered Saxton factory, with a hoped-for state license opening the door to dozens of new hires and additional businesses. Green Leaf Medical LLC, which operates a facility in Frederick, Md., has submitted an application for one of two south-central Pennsylvania grower licenses, CEO Philip Goldberg said Wednesday. If the company receives a state license, it could establish a marijuana operation at the closed Seton leather plant in Bedford County. State officials have said it could take 90 days or more to review the hundreds of expected applications to grow and sell the medical marijuana. Applicants were asked to submit a $10,000 request fee and extensive documentation on their plans. Green Leaf Medical is set to finalize purchasing the 274,000-square-foot facility in mid-April, Goldberg said. The company is set to initially occupy only a fraction of the property and hire 15 or 20 employees, but those numbers could grow. Other segments of the building could be leased to other companies, possibly bringing more jobs to the area, Goldberg and Bedford County Development Association President Bette Slayton said. “It’s a relatively easy building to subdivide. … We’ll market that aggressively in conjunction with Green Leaf,” Slayton said. The plan hinges largely on state Department of Health approval of the company’s license application. Only two grower licenses are set to be distributed in this part of the state in the first round, though more could follow in later rounds. State officials haven’t released details on applications they received before the March 20 deadline. At least two other potential applicants in the Altoona area had expressed interest but later pushed back their plans; it remains unclear whether anyone else in the region made a formal application. If the application fails, Goldberg said, his company would maintain the building and preserve it for other business interests or a later round of licenses. He expressed confidence in Green Leaf Medical’s chances, as the company maintains an experienced board and received high ratings among its Maryland competitors. If they receive a license, Green Leaf leaders will be required to have the operation running within six months, Goldberg said. That would likely mean a deadline in early 2018. “We’re starting out really small in the facility” because of the six-month timeline, he said. The first round is set for about 8,500 square feet of lit, canopy-covered growing space in addition to 5,000 square feet of halls and walkways, 6,000 square feet of lab space and more room set aside for offices. “I think it’ll take us quite a while to ever get to maximum capacity,” Goldberg said. The prospect of new life at the Seton plant is a welcome one for Saxton officials, who have watched as the borough’s jobs trickled away over the years. Employing 1,000 people at its height, the Seton plant — which made leather upholstery for cars — closed and shed its last 200 jobs in 2008. Smith and his predecessors had long pushed for businesses to move into the empty space, hoping its owner, Seton Acquisitions, would continue to keep it in good shape. Smith said the job loss helped spur the area’s opioid abuse problem, a crisis that has affected nearly every city and town in Pennsylvania. He pointed to the curious fact that a drug — still illegal for recreational use in Pennsylvania and under federal law — could help reverse that trend in Saxton. If it is approved, the Saxton plant would produce the drug only under the state’s strict guidelines for medical use. License-seekers had to demonstrate a commitment to safety and security under the complex application process. Most of those hired at the plant would need no more than a high school diploma, though an agricultural background could help for some jobs, Goldberg said. A few employees would have higher-level qualifications in the field. Officials had once sought to extend the Seton site as a Keystone Opportunity Zone, where tax breaks would be used to urge companies to move in. That effort failed, and Green Leaf Medical is expected to pay full property taxes. The site currently contributes about $5,600 to the county, $7,600 to Saxton Borough and nearly $19,000 to Tussey Mountain School District, county Chief Tax Assessor Joyce Hillegass said. Smith said he doubts the area will ever return to the high-employment days of intensive manufacturing. But initially skeptical officials were won over by Green Leaf leaders’ willingness to talk openly, he said, and few in the community have been put off by marijuana’s criminal associations. The drug is part of a growth industry, county leaders noted. And the presence of medical marijuana ties in closely with the county’s image — pushed by business leaders and development officials — as a growing center for pharmaceuticals. Business figures, including those associated with Bedford County-based Lampire Biological Laboratories Inc., have established a new agricultural biotechnology curriculum at the Bedford County Technical Center for that purpose, Slayton said.